Planning is a key element of the building process. Long before anything is physically done to a customer’s property, the plan and design has long been decided. 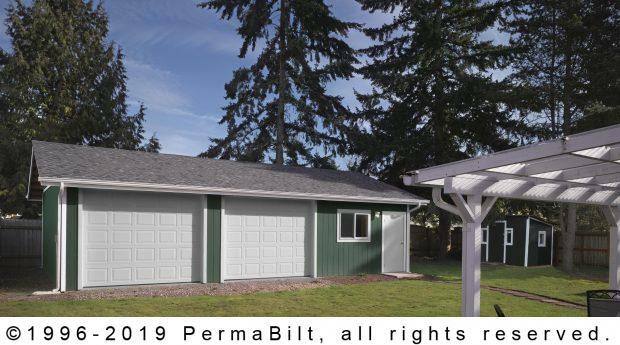 So when our PermaBilt® Building Representative met his Renton Washington customer for a free in-home consultation there was still a lot of uncertainty. Our customer knew he wanted to build a garage and shop in his backyard but he wasn’t sure where it would fit. It couldn’t be too close to the end of his property line and he didn’t want to take up too much space so his kids couldn’t play in the backyard. Together with the Building Rep, they staked out the area to his and his family’s satisfaction. Now, he could start working what the two car garage and shop would look like and how it would function. In restoring cars, he wanted to make sure he had plenty of room for the cars as well as all the equipment he needed. When completed, everybody was happy including the family that still had a backyard to play in.